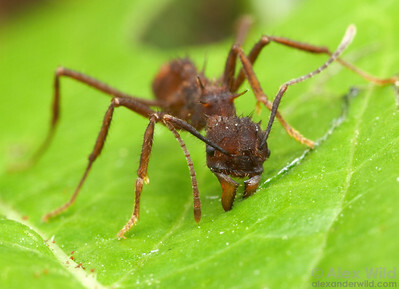 is the more diverse of the two leafcutting ant genera (the other is Atta). 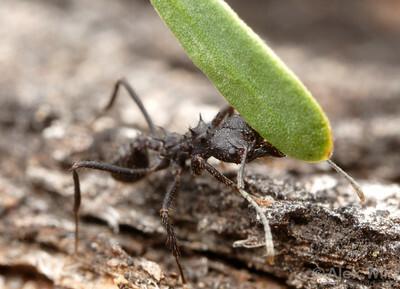 These distinctive spiny insects cut fresh vegetation to feed to a specialized fungus that grows only in ant nests. 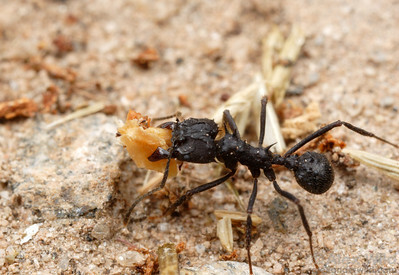 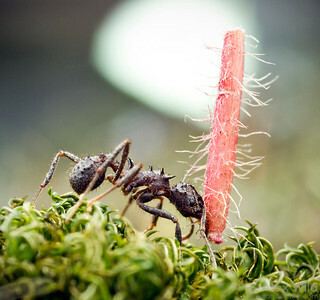 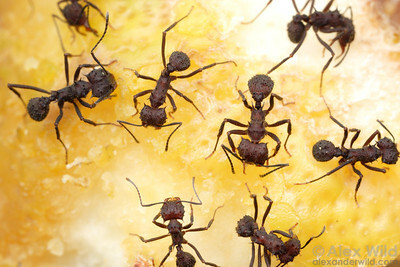 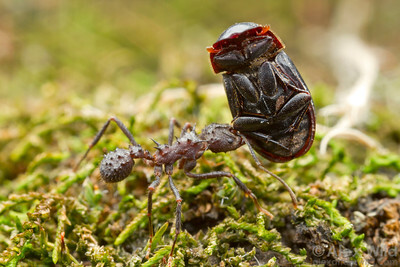 The fungus serves as the ants' food source and in return is cultivated and dispersed by the ants. 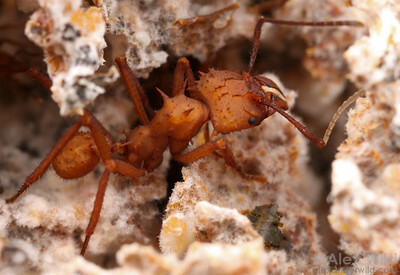 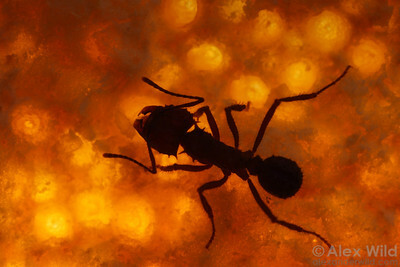 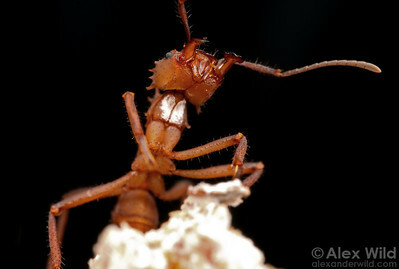 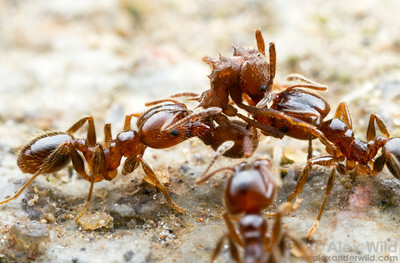 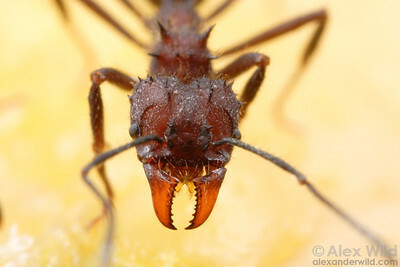 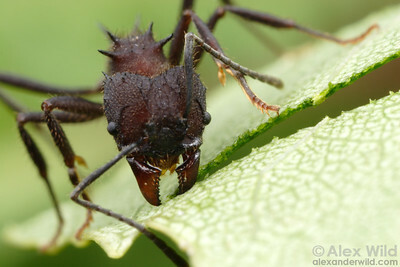 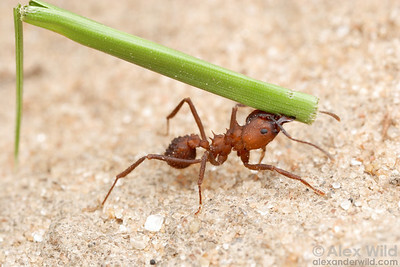 Like all fungus-growing ants, Acromyrmex is found only in the new world tropics and subtropics. 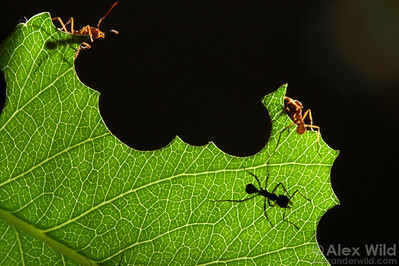 Leafcutter ants slice characteristic circular patterns in vegetation. 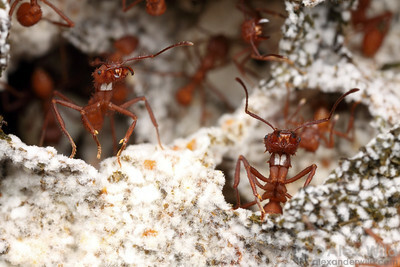 Laboratory colony at the University of Texas, collected from Panamá. 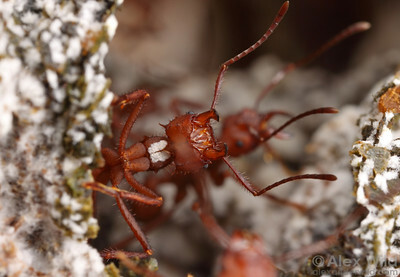 Leafcutter ants slice characteristic circular patterns in vegetation. 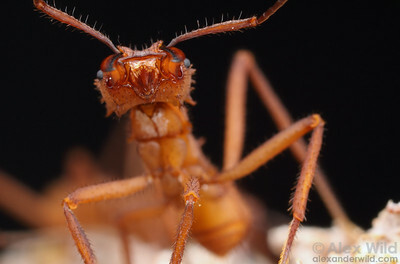 Panamá. 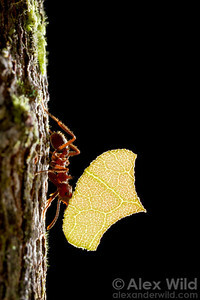 A leafcutter ant finishes a cut. 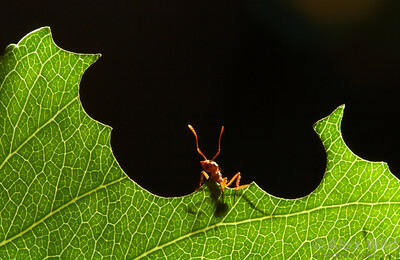 Correa, Santa Fe, Argentina.